Recorded on November 15, 2015. An arrogant city slicker on a quest to uncover the background of a young woman from the backwoods finds horrors beyond imagining, combining Lovecraftian mutations with Native American legends. Most comics I love are due to the artist (hence Dorfler). Even with that though, there are only a handful of artists of whom I buy their stuff regardless. Richard Corben is definitely one of those artists. While i think any Corben is good Corben, I find his art perfect for Poe and Lovecraft stories. His style is so bizarre and mesmerizing that it just makes you slightly uncomfortable which puts you in the proper mindset for their off-beat tales. 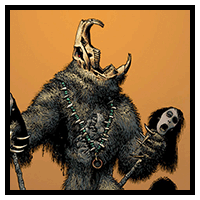 I first came to the awareness of Corben in Heavy Metal magazine back in the early 80’s but I have since purchased the Eerie archive that focused on him so I knew he had been around a while. I honestly had no idea that he as in his 80’s however. With that knowledge I might guess that the change in art styles in Ratgod was due to his age and maybe his wife (or someone else) took over the art in issue. Regardless, loved it, wonky story and all. I think we misspoke, Corben is 75. Still pretty amazing for 75!